Encourage little ones to stand and walk with the versatile Cruiser Center from Jonti-Craft. 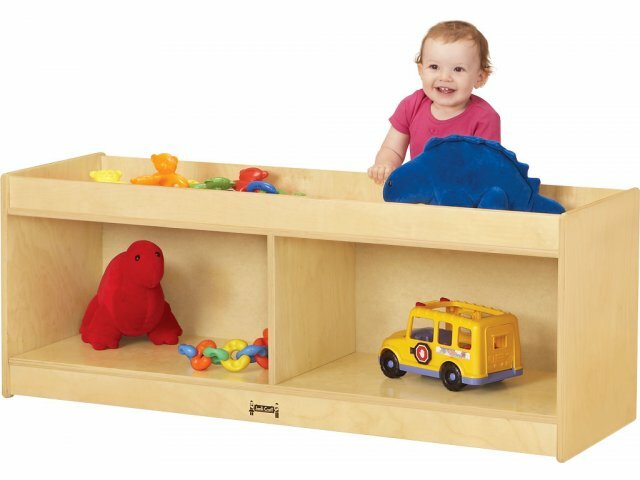 These multi-purpose storage units will make an excellent addition to your daycare or preschool. They are specially designed with toddlers in mind. You can put colorful and enticing toys on the top to encourage children to hoist themselves up and explore. A raised top edge prevents toys from falling off as children play and helps little ones balance. 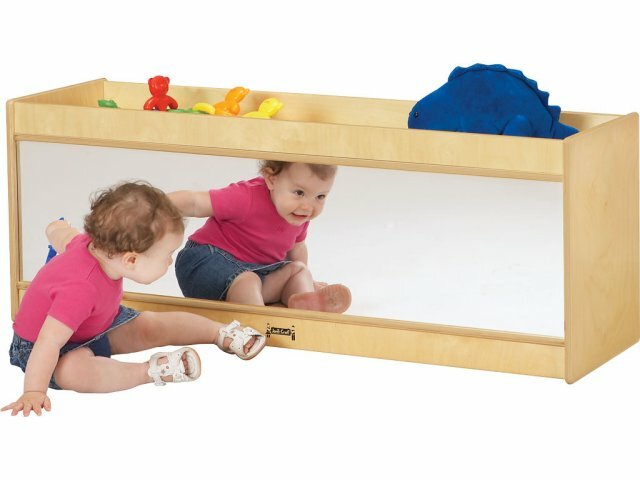 A mirror enables children to discover themselves, while storage compartments provide a convenient place for toys and games. The Cruiser Center is designed with safety in mind so you can feel free to let little ones roam, cruise, stand, and crawl as they explore the world around them. Secure Play: A raised top edge prevents toys from falling off as children play. Easy Cleaning: The tough finish will not turn yellow over time and makes these units easy to wipe off. Tough Build: Dowel-and-pin construction increase strength by 30%. Germ Free: Thermo-fused edge banding eliminates moisture buildup, keeping germs away.